The doctors and staff at the Endeavour Practice in Middlesbrough are proud to offer the highest standard of patient-centred healthcare. We run many clinics for the management of chronic diseases such as asthma and diabetes and offer a wide variety of other medical services including antenatal and postnatal care, minor surgery, childhood vaccinations and well-person check-ups. 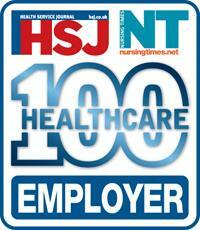 In 2010, the practice was proud to be awarded the Healthcare 100 Award for the second year in succession. The award is based on confidential assessment of the practice by our own staff and means that we have been judged as one of the top 100 healthcare employers in the country. In 2009, the practice won two individual awards - Top Small Employer for Performance Management and Staff Development and Top Small Employer for Leadership. The Endeavour Practice merged with Martonside Medical Centre on 1 June 2017. We all form part of the Ironopolis Medical Group. We will run as two separate practices, there will be two separate patient lists and two separate sets of premises. However, the GPs will share responsibilities as well as sharing the risks that the current difficult financial conditions present. We will be stronger together. You can only be seen by at The Endeavour Practice. This remains your practice.